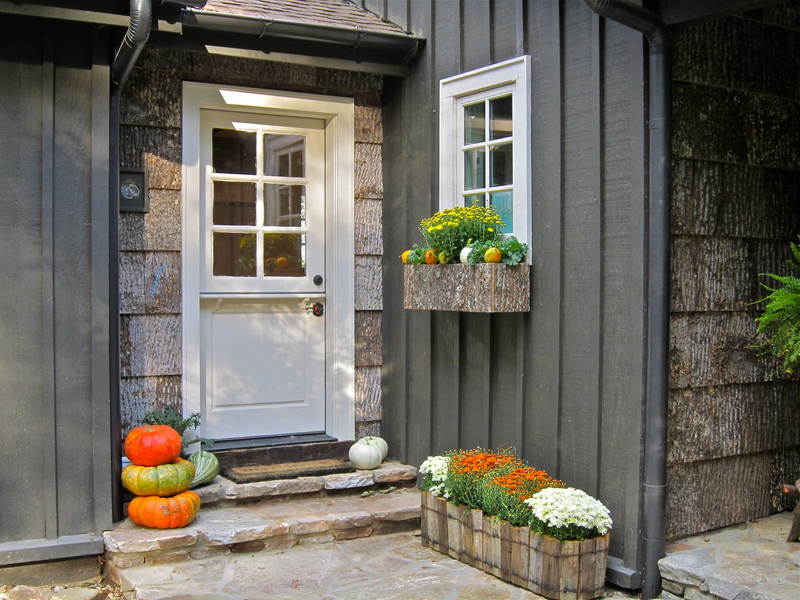 oday I felt the need to get a little Fall decorating started, so I visited the local nursery and found a few pumpkins to stack and mums to fill the new window boxes. I just love the Fall colors of the mums–orange, yellow and white. 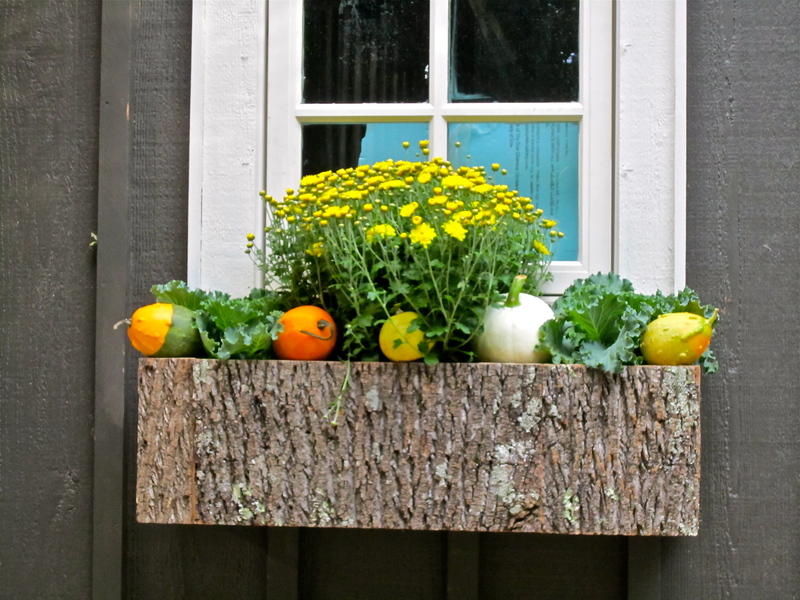 The new poplar bark window boxes are filled with mums, cabbages and gourds. 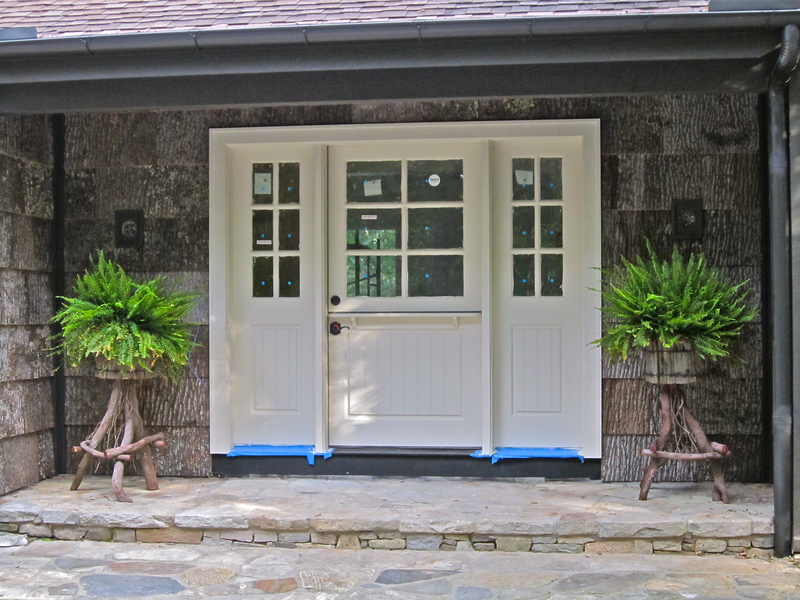 I can not wait until the mums are in full bloom–maybe about a week. I think I need to add a few more of everything for that really abundant look. More shopping tomorrow… see you later. More Fall decorating to come.